London’s Highgate Cemetery is considered one of England’s most beautiful. While it seems odd to call a cemetery beautiful, Highgate does have some stunning architecture and remarkable monuments. Find peace among the vines and greenery – as it takes you away from the busy London streets. 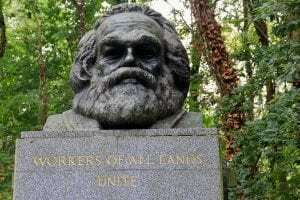 Highgate is famous for being the final resting place of many notable people, including Karl Marx. Interestingly enough, it is still open for some burials. Due to limited space, only the very elderly and terminally ill may pre-purchase a plot there. Another famous cemetery worth visiting if you find yourself in Paris is Père Lachaise. It’s known for being the final resting place of several artists, poets, writers and musicians. It also includes three World War I memorials. 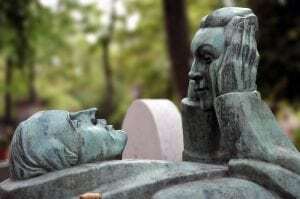 Famous grave sites include: Jim Morrison, Marcel Proust and Oscar Wilde. Like Highgate, there are still some plots available – but you must pass away or have lived in Paris to qualify. There is also a wait list. Experience the eerie charm of this southern gem. 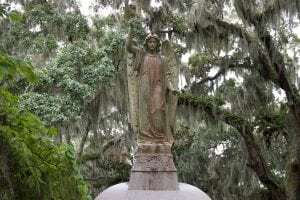 Of the famous cemeteries, this one is probably most famous for being featured in the film Midnight in the Garden of Good and Evil. The old trees with the spanish moss draping adds to Bonadventure Cemetery’s allure. Not only is Glasnevin one of Ireland’s famous cemeteries, it also has a museum. Knowing that many people flock here to see the famous people buried, they thought it would be important to educate the public about the significance of the cemetery. The museum opened in 2010, and it hosts tours and education groups. Anyone looking into their family history might find this an interesting stop. The most famous grave is that of Michael Collins – an Irish nationalist who died in the Irish Civil War. South Park Street Cemetery is one of the largest Christian cemeteries outside of Europe and North America. It opened in 1767 and was used until 1830. Today it is a heritage site. This cemetery is a reminder of British colonialism in India. Good or bad, it’s a part of history that we shouldn’t forget. 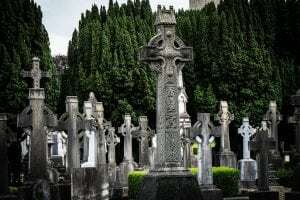 Don’t forget that even though these are tourist attractions, these are still cemeteries – so it’s important to enter these places with respect. 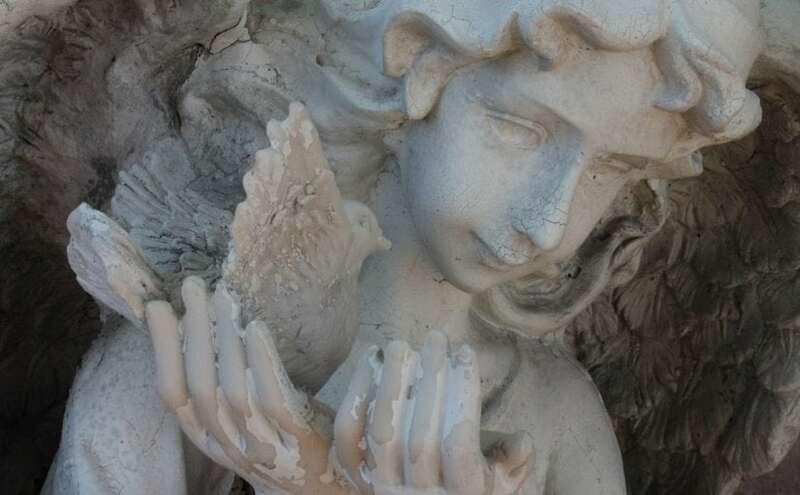 If you have any questions about any local cemeteries, please don’t hesitate to ask. If you’re looking for burial options, the staff at Chapel Ridge would be happy to help you find what you’re looking for.